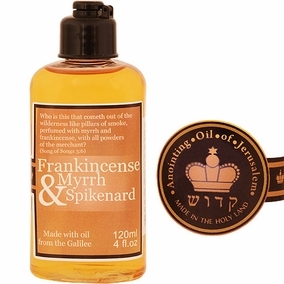 Frankincense, Myrrh and Spikenard Anointing Oil - Blended exclusively for the Jerusalem Gift Shop using quality oil. Size: 120ml / 4 Fl. Oz.